A road trip is happening. Myself and my daughter are grabbing a little yarn, our needles, and heading to NYC. I have a business trip. She is on vacation. Then a really wonderful thing happens….my conference ends and we get a couple of vacation days together. But wait there’s more….. this is not just a tourist kind of vacation, Oh NO!. We are going to Vogue Knitting LIve!!!! We are going to hear Clara Parks. We are going to touch and buy yummy yarn. We are going to see Catskill Merino Sheep Farm at Union Squire Market!!! And of course drink wine and have a few martini’s along the way. Our husbands are already shaking at the thought of the very sizzle of our credit cards as they have been warned “we are coming home with some yarn”. So in honor of this wonderful road trip. I have a new pattern for you. A FREE pattern for you. It is called 30 Below, a cozy, warm, cowl. 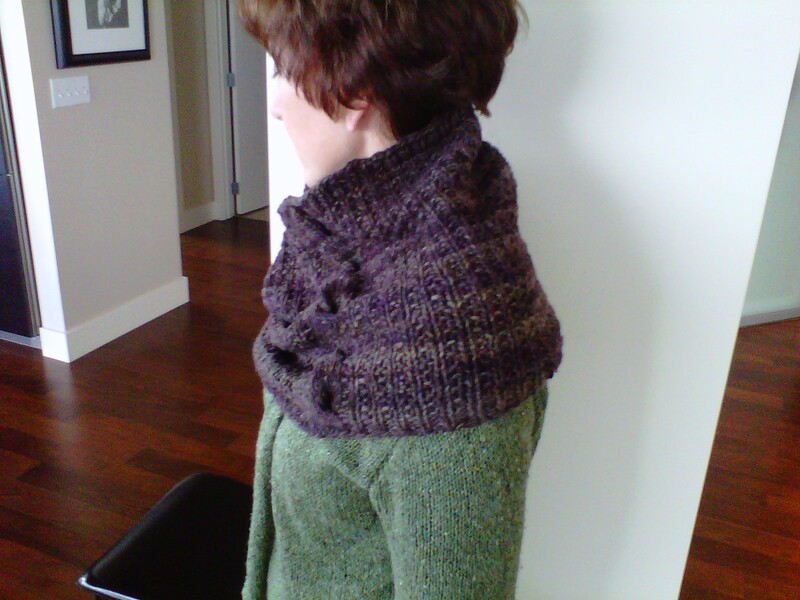 It is knit with a very special yarn… Catskill Merino Wool Bulky, in Umber. The photos just do not do justice to the incredible color of this hand died yarn. I urge you to indulge a little and buy this yarn on-line from Eugene Wyatt, Catskill Merino. 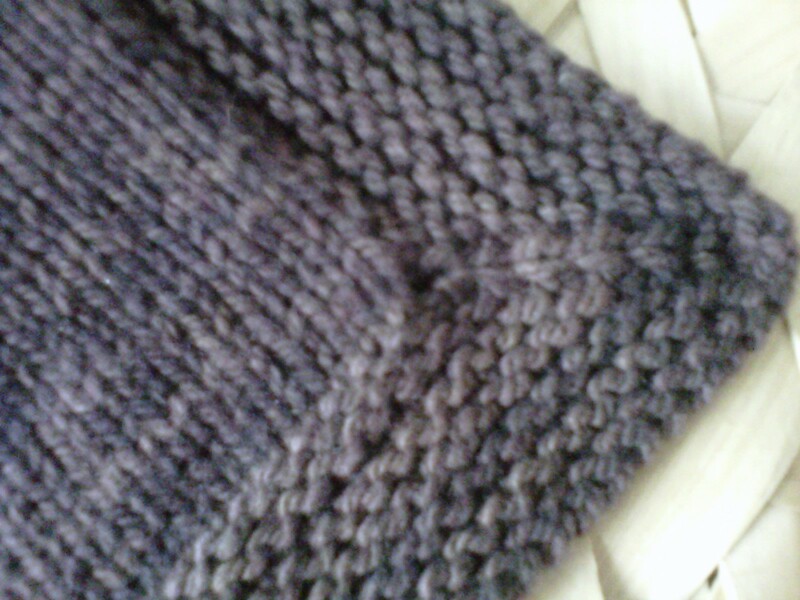 The cowl takes two skeins. I promise you will not be disappointed. If any of you follow Clara Parks and her “Great White Bale” blog, this is the same wool. Go ahead, spoil yourself. I am going to buy a little more…. 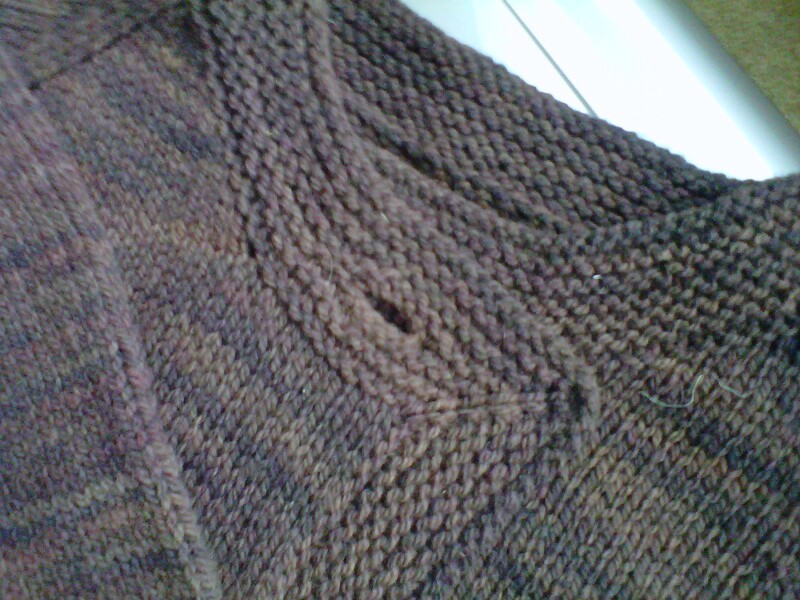 And just to tease you with a little more of my favorite yarn. Another new pattern will be released next month. This is a cardigan sweater “Union Square” It is in Catskill Merino Wool Sport, the color is Happy Brown. I think I was channeling a bit of Mad Men when I was working on this design! So to tide you over…a little sneak peek. Now, I must go pack my bags… 1/2 full… as I will need room for yarn coming home.